Natural beauty comes in a kaleidoscope of colors every season at The North Carolina Arboretum. 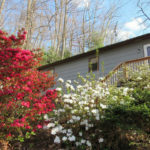 Surrounded by lush folds of the botanically diverse Southern Appalachian Mountains, the Arboretum is adjacent to the scenic Blue Ridge Parkway, at Milepost 393. The 434-acre public garden offers enriching activities for all ages that explore how plants are important to our world. 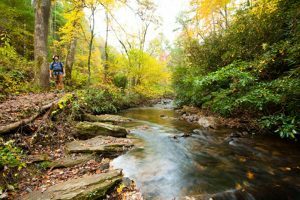 Stroll through 65 acres of cultivated gardens, or hike or bike along more than 10 miles of trails. 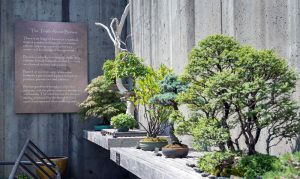 See one of the nation’s most unique bonsai collections. Enjoy engaging exhibitions from across the country, as well as those by regional artists and craftspeople. 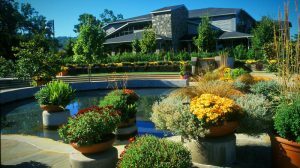 The Arboretum also features a café and gift shop.